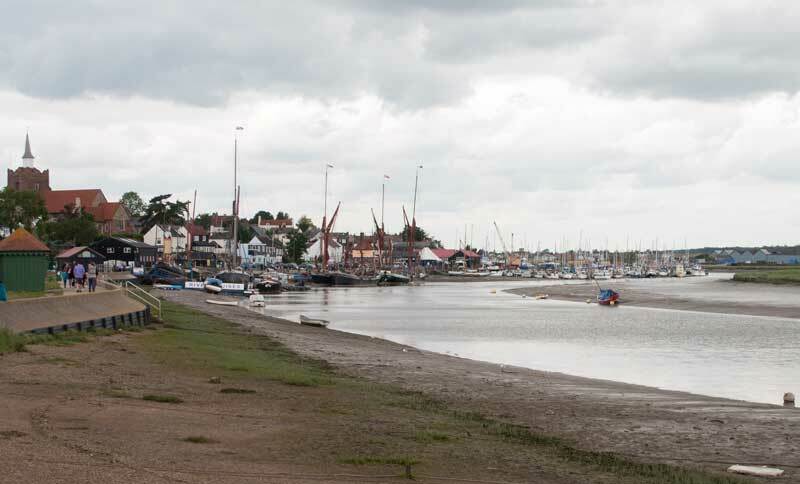 Maldon is a small town of about 15,500 people in Essex on the Blackwater estuary. 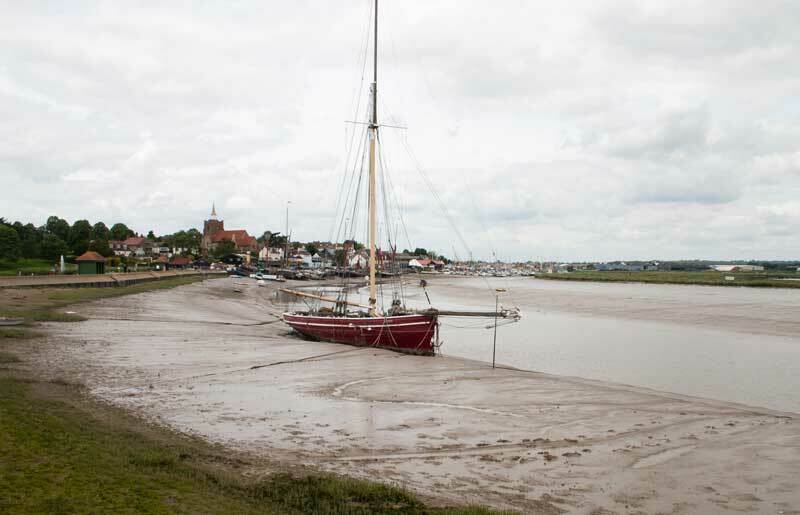 We have a knack of visiting the coast at low tide but scenes such as this sailing vessel aground on the mud can be interesting. 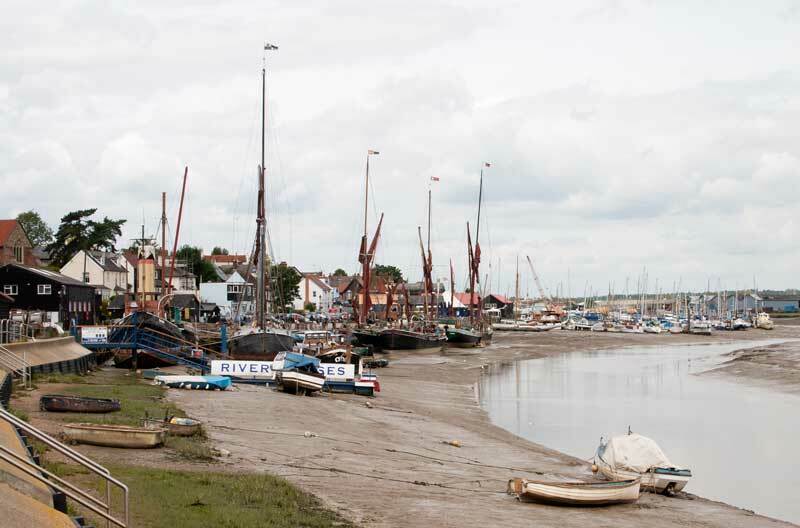 A general view of the waterfront with Thames barges and beyond them a large number of yachts. 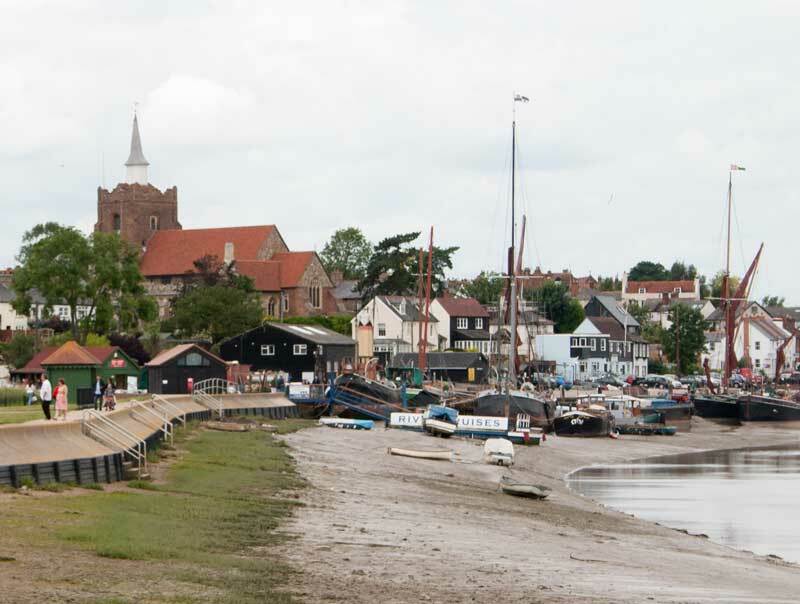 Above and below A couple of zoomed in shots of the quay and the church with its unusual spire. 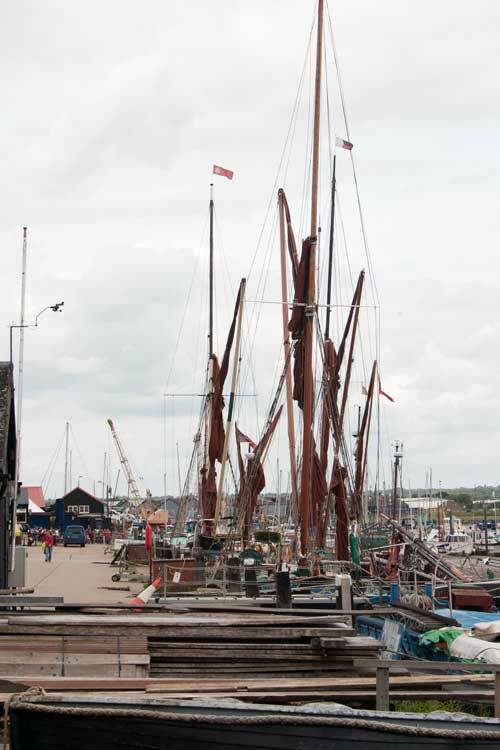 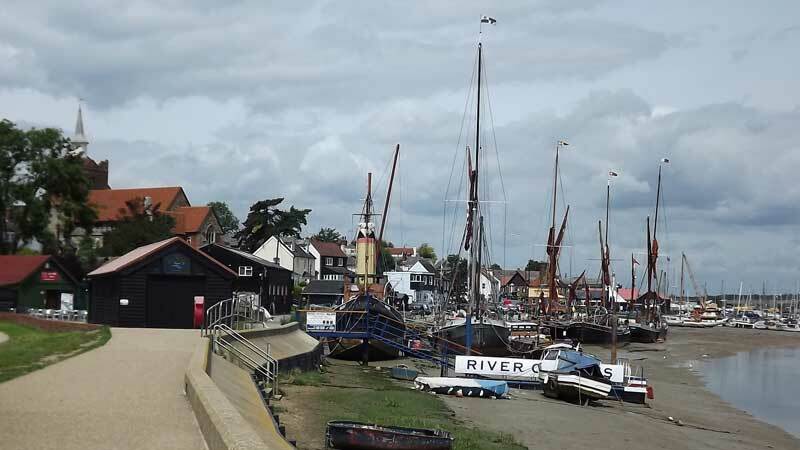 Maldon Quay, steam tug, Thames barges and plenty of yachts. 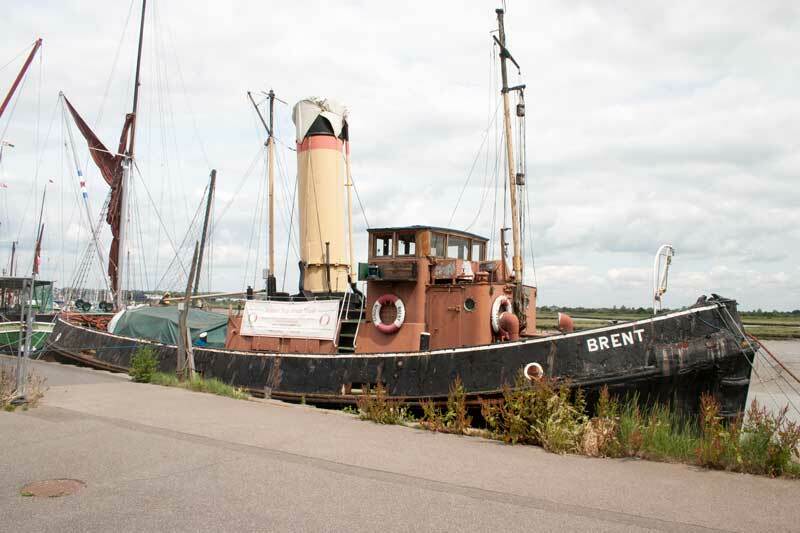 The steam tug Brent and the banner that tells you all about her. 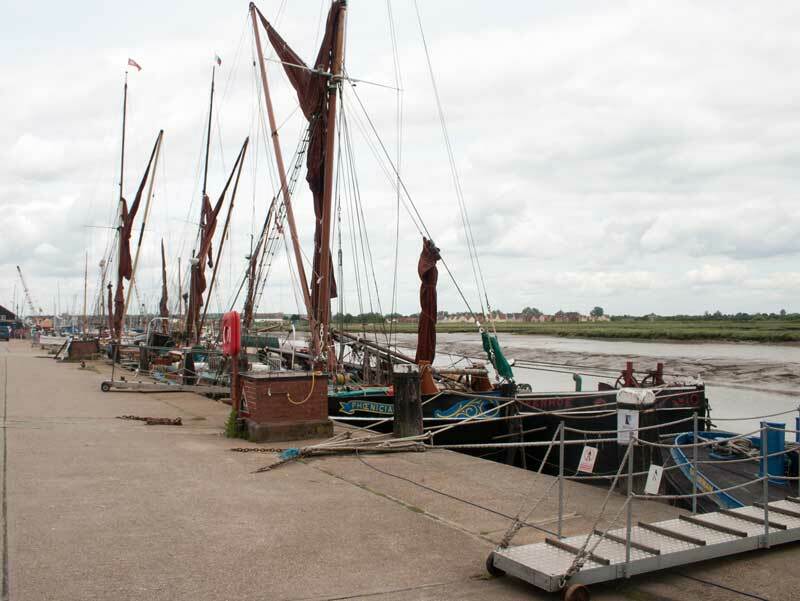 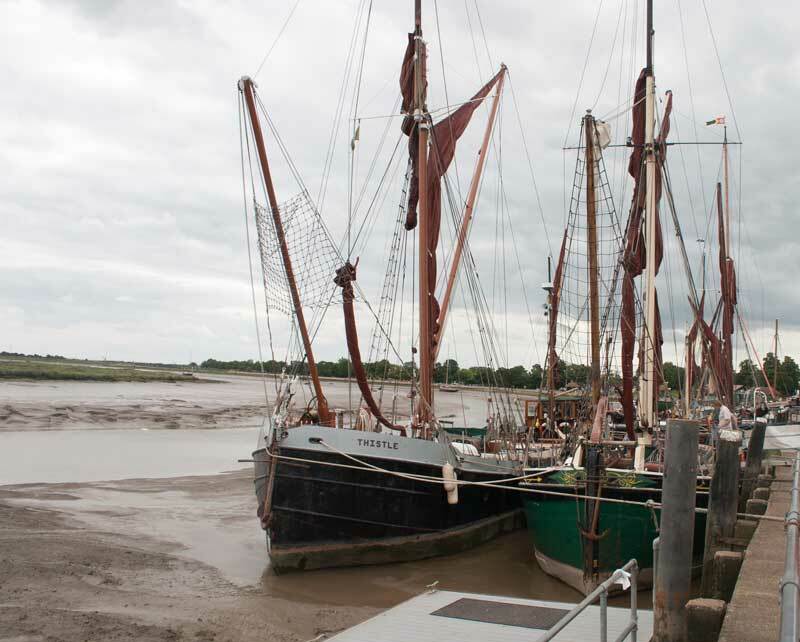 Now three photos of the Thames sailing barges that are moored here. 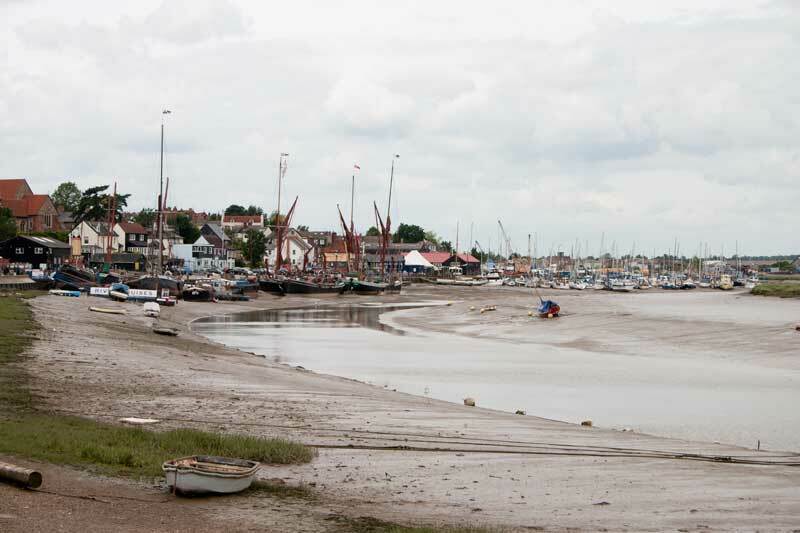 By the time we'd had lunch the tide was starting to rise. 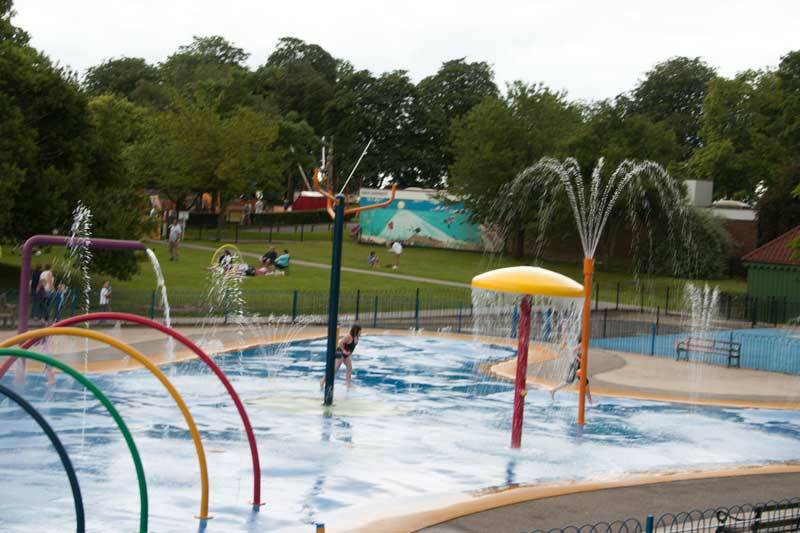 We'd parked in part of Promenade Park, part of the things for kids there is this "shower" water play area - the kids there seemed to be having a great time in it!